And even if ‘they’ turns out to be the marketing department at Common Projects, there is some common sense to it. Shoes are, after all, the foundation of any outfit. A good pair can lift your look; and a bad pair will drag it down. Not only that, but well-made shoes will last better in the long run. Assuming you don’t actually run in them, that is. But unless your footwear budget exceeds Carrie Bradshaw’s, you’ll want to sink the cash you have into the most solid options possible. The ones that will give you more mileage than Sir Ian Botham doing a charity walk with The Proclaimers. That you can almost never put a foot wrong with. With that in mind, we’ve corralled the most indefatigable workhorses around – and they’re all leather, because if your shoes aren’t leather then you aren’t really trying hard enough. These five flexible pairs are guaranteed to deliver maximum return on investment, so prepare to downsize your shoe cupboard – and maybe rent the reclaimed space out on Airbnb. First off, they’re white, which goes with everything. Or will do as long as you keep them clean: battered trainers will kick smart looks to the curb quicker than you can say “crap nightclub bouncer”. A minimal design also affords you maximum styling options. Again, if you think about the ‘cleanness’ of a suit and shirt, a trainer with pared-back detailing is just more in step. It’s a similar rule for texture: rougher textures are – generally speaking – informal, while smooth fabrics look dressier. Too many bells and whistles on your sneaks will sound an off note. And they won’t be good for sneaking either. Which is why leather trainers are smartest. They’re smoother, shinier and therefore more formal than canvas. Plus they’re easier to keep clean (see above). Leather trainers also tend to be chunkier, which balances out the top-heaviness of tailored clothing or bulkier jackets like an on-trend shearling bomber. Factoring in all of the above, when it comes to sheer versatility, the adidas Stan Smith is, like the tennis ace who lent them his name, hard to beat. Although maybe less so now – he is in his sixties. Nowadays though, brogues are go-anywhere and go-with-anything shoes. Indeed, as we’ve discussed before, they’re invaluable for negotiating the dress code quagmire that is smart-casual. That said, you’ll want to consider your footprint. Brogues that are too beefy in heft or round of toe won’t be sufficiently sleek for even a standard business suit in worsted wool (although they may team nicely with rugged tailoring in a thick heritage fabric like tweed or flannel). Equally, brogues that are too slender and pointy won’t stand up to workmanlike jeans. So, what’s the ideal? An in-between ‘almond’ shape will toe the smart-casual line perfectly. The broguing itself, however, is a whole other factor. Just remember: generally, the bigger and/or more widespread the holes, the more casual the shoe looks – so opt for a semi brogue (perforated toe cap, but no wings) if it’s an any-occasion style you’re looking for. Black brogues are a bit too severe for smart-casual, but any lighter than mid-brown and they’ll be a shade too casual to work with formal get-ups. Speaking of which, tan brogues with a dark or formal suit makes you look spivvier than a hapless candidate on The Apprentice who doesn’t know the meaning of the word ‘fail’. As in ‘outfit fail’. Like brogues, loafers are a veritable smart-casual lifesaver. They’re descended from a moccasin-style shoe worn by Norwegian fishermen, so their DNA is as relaxed as the word ‘loaf’ implies. But then, in 1934, G.H. Bass – the OG of loafers – polished them up a little by refashioning them in leather, with a thicker sole. They became a mainstay of Ivy League students precisely because of their ability to slip seamlessly between smart and casual. There are a couple of things to bear in mind before you buy though. As with brogues, a rounder toe skews more casual, while a sharper silhouette points more towards similarly sharp attire, so search for a happy medium for maximum wear opportunities. You’d also be advised to mind the gap. If the vamp – the top bit of leather that goes from your toe up your foot – is too short or ‘low’, then you’ll be showing way too much sock for formalwear. And your foot will look freakishly small. Finally, the profile of loafers can be a little slim for pairing with super-structured or fuller-cut tailoring, so search for a thicker-soled style if that’s what you’ll be wearing them with most often. Otherwise, a tapered trouser will be on the money. Similar to loafers, the slip-on insouciance of Chelsea boots makes them more casual than your usual leather lace-ups. Maybe it’s the Beatles association, but there’s something rock ‘n’ roll about plain black leather – and therefore technically smart – Chelsea boots that makes them a viable supporting act for a biker jacket. 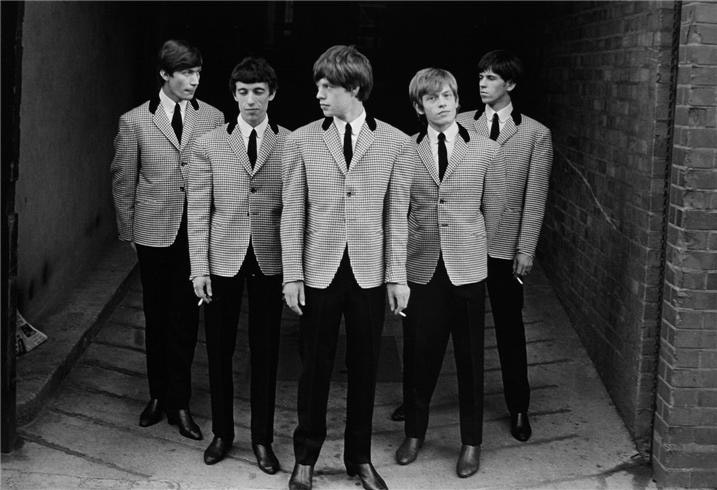 At the same time, that black leatheriness will make them dressy enough to wear with a suit, like the Rolling Stones in those early pictures where they were all respectable. If you’re swayed towards suede, bear in mind that what you stand to gain in fuzzy texture you’ll lose in formality. And waterproofness. Again, heft will help you weigh up which end of the smart-casual spectrum they’re on. A particularly pointy style can make your feet look ginormous, especially with slim or skinny jeans. For that reason – among many others – you might want to jack Kanye’s look and ‘stack’ your jeans for counterbalance. You should, however, definitely not stack your suit trousers, unless you’re really into looking like you’ve borrowed them from your dad. And don’t wear them with a four-button suit, unless you want to look like the fifth Beatle who was cryogenically frozen like Austin Powers. Footwear fetishists will tell you that Derbies are distinguished by eyelets which are sewn on top of the vamp and ‘open’, making the silhouette slightly less sleek than that of Oxfords and therefore the overall effect slightly more casual. Americans sometimes refer to Derbies as Bluchers, although there is technically a slight difference between the two. But then they also call brogues wingtips, so what do they know? Despite that casualness, and an often chunkier profile than Oxfords, Derbies also possess a certain minimalism in their otherwise unsullied upper that is simultaneously smart and modern. They’re not as stuffy as Oxfords or as fogeyish as brogues. 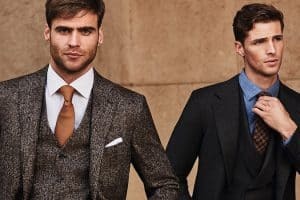 We’d tell you to temper that chunkiness if matching them with tailoring, but the likes of Brunello Cucinelli deliberately teams beefy Derbies with tapered suits to create a striking contrast. And it’s also precisely because of that chunkiness that they look right with a T-shirt, jeans and biker or bomber jacket, in a way that Oxfords just don’t. We’re going to go out on a limb here, but black Derbies might just be the most versatile and fashionable shoes around right now. Have you covered all of these bases? Or is there a pair of leather shoes you’d vote more versatile than the five we’ve highlighted? If so, tell us below.